^ Tottenham legend Nicholson dies. BBC Sport. 23 October 2004 [17 August 2010]. ^ Logan Holmes. A Month in the Illustrious History of Spurs: November. topspurs.com. ^ Opening ceremony and kick-off time confirmed for first game at new stadium. tottenhamhotspur.com. Tottenham Hotspur. 2019-03-19 [2019-03-22] （英语）. ^ Spurs fans see red over logo. ^ Adrian Curtis. Jol to benefit from £34m shirt deal. 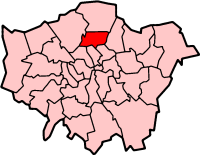 London: independent.co.uk. 16 May 2006. ^ John Ley. Tottenham announce £20m shirt sponsorship deal with Autonomy. London: telegraph.co.uk. 8 July 2010. ^ Tottenham Hotspur name Investec as second shirt sponsor. www.bbc.co.uk. 17 August 2010. ^ Stock Exchange Announcement – Placing of new shares to raise £15 million. Tottenham Hotspur. 9 August 2009 [22 August 2009]. ^ Historical Attendances 1950s. European Football Statistics. [26 October 2006]. （原始内容存档于2006年10月14日）. ^ Historical Attendances 1960s. European Football Statistics. [26 October 2006]. （原始内容存档于2006年10月14日）. ^ Kessel, Anna. Alive and unchecked – a wave of anti-Jewish hate. The Guardian (London). 28 October 2007. ^ Baddiel, David. So you think we've kicked racism out of English football. 獨立報 (London). 17 October 2002. ^ Aaronovitch yiddos. Times Online. （原始内容存档于2007-05-29）. ^ Anti-Semitism or endearment?. European Jewish Press. （原始内容存档于2012-03-26）. ^ Marcotti, Gabriele. Ajax seek to set record straight. The Times (London). 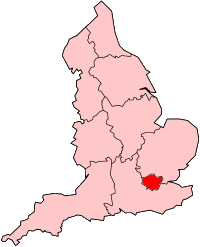 12 January 2005 [15 September 2010]. ^ Spurs fan Rupert Grint took on Arsenal star Theo Walcott at Harry Potter premiere after-party. 每日鏡報 (London). 2010年11月13日 [2011年2月26日]. ^ I'm not some Yank who wants to make a profit. I just want to see Spurs succeed. 衞報 (London). 2008年2月19日 [2011年2月17日]. ^ Nash would like to be Tottenham owner. 衞報 (London). 2007年10月30日 [2011年2月17日]. ^ Three Amigos lined up for Grecians fundraiser. The Herald. 14 October 2009 [22 November 2009]. （原始内容存档于2013年1月14日）. ^ Steve Perryman. Daily Mirror. [22 November 2009]. ^ Legends: Jimmy Greaves. Tottenham Hotspur. [22 November 2009]. （原始内容存档于2009年10月3日）. ^ Hall of Fame. 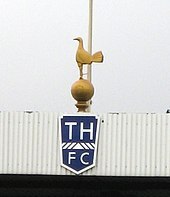 www.tottenhamhotspur.com. [13 January 2009]. （原始内容存档于2011年8月23日）. ^ Anderton and Freund join Hall of fame. 3 December 2009. （原始内容存档于2011年8月23日）.